Anyone who’s been on the weight loss yo-yo knows the frustration of following a diet, only to have the pounds pack back on. Dr. Matthew Mintz has struggled personally with weight issues and knows what it's like. While there is no easy solution to a healthy weight, Dr. Mintz will work with you to help you achieve your goals. The key is incorporating permanent lifestyle changes to maintain your weight loss progress. Dr. Mintz, located in Bethesda, Maryland, doesn’t market powders and shakes. Instead, he uses proven methods and gives you the support you need to succeed. Dr. Mintz welcomes all patients from Bethesda, Potomac, Rockville, Chevy Chase, and the surrounding areas of Washington D.C. and Virginia. Call or book a consultation online today. If you’re 20% or more beyond your ideal body weight, you’re more likely to suffer from many health conditions, just because of that extra weight and the toll it takes on your body. Even worse, many of these conditions interrelate and complicate each other, making obesity the first domino in a series that threatens your health. For example, high blood pressure and high cholesterol frequently accompany obesity. In turn, the combination of blood pressure and cholesterol increase your risk of developing heart disease or having a stroke. When type 2 diabetes also arises due to that extra weight and high blood sugar, your risk of each complication goes up even more. How do medically supervised weight loss programs work? The best weight loss programs take your lifestyle, habits, and tendencies into account, using a consultative approach. Typically, through a 12-week program, you have a comprehensive evaluation and continual monitoring. 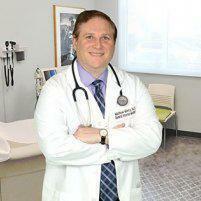 Dr. Mintz sits with you and discusses diet and exercise plans that are realistic for your life. Dr. Mintz will work with you to custom tailor a diet and exercise program that works for you. If necessary, weight loss medication may be prescribed to assist with your program, many of which will be covered by your insurance. Patients enrolled in Dr. Mintz' medical weight loss program will also receive a discount on TruSculpt. What you won’t get with Dr. Mintz's weight loss program is high-pressure sales pitches for pre-packaged weight-loss plans that some practices may offer. In most other weight loss programs, participating require purchasing powders, mixes, and food in addition to the medical supervision. Typically, you get fit into the weight-loss plan, rather than having a plan built around you. Are there other aspects beyond diet and exercise in a medical weight loss program? Yes. Dr. Mintz offers the truSculpt® 3D body sculpting system alone or in combination with medical weight loss. A harsh reality of weight loss is that there are stores of fat throughout your body that resist all your weight loss efforts. These can be particularly frustrating when you’ve achieved your ideal weight. The truSculpt system uses controlled application of radiofrequency waves to disrupt adipose tissue, the cells that store fat in your body. Once treated, your body perceives these cells as damaged and removes them from the body over time, reducing those stores of fat, helping you achieve your desired body shape.